Java moss is one of the easiest to grow aquarium plants there is. Native to Southeast Asia, this plant is often recommended as a live plant in aquarium tanks. It is commonly used for aquascaping because it has minimal requirements for water quality and lighting. If you have ever wanted to enhance the health of your tank – perhaps you want your fish and their fry to have more protection, or you want to provide food for breeding fish – you may have considered planting Java moss. Don’t worry – it’s easy to do so after you read our ultimate guide to the java moss. Is Growing Java Moss Right For Me? Moss doesn’t just grow in the forest – it also grows in the water! 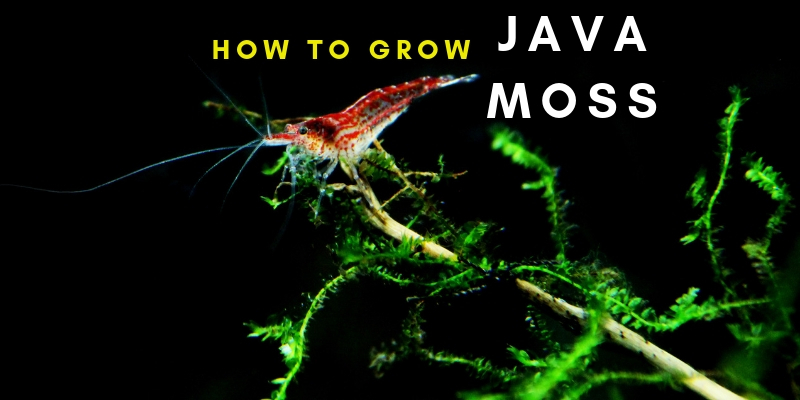 Java moss is a unique plant that has the ability to grow submerged, and as one of the most popular aquatic mosses, it’s a great choice for growing in your aquarium. Native to the country of Java and other areas of Southeast Asia, Java moss belongs to the Hypnacae family. It is incredibly common in moist, tropical climates, where it tends to grow on river banks, rocks, and even tree trunks. In the wild, it can be found both above and below the water line. It is found in forested habitats that tend to be quite humid, with the greatest concentrations of the plant found along the edges of streams and ponds. It grows in a creeping pattern and can grow both in and out of the water. It is adapted to do this because in these habitats, the water level can vary greatly. During the rainy season, the water rises enough to submerge the plant, but during dry spells, water levels will drop considerably. When you purchase Java moss, it’s important to use its Latin name. Java moss is often confused with Singapore moss, but they are very different species with different growing requirements. Using the Latin name can help prevent any confusion and ensure you are getting the plant that you thought you paid for. Because this variety is the most popular of the aquatic mosses, it is usually easy to find, but often mislabeled at the aquarium store. Look for Java moss that doesn’t grow upright, downright, or in a triangular pattern. If the store tries to sell you a plant that grows in that manner, it is probably flame moss, weeping moss, or Christmas moss, and not actually Java moss. That being said, Java moss will look different in varying growth conditions, so keep that in mind when you are shopping for your plants. Higher light or excess carbon dioxide in the water will produce dark green, densely growing Java moss, while low light or minimal carbon dioxide will result in stringier, light green growth. Java moss provides a naturally aged appearance to a fish tank. Easy to grow and even easier to maintain, it can attach itself to many kinds of surfaces, such as rocks, driftwood, gravel, and other decorations. It has irregular, small branched stems, each of which are covered in small oval-shaped leaves that overlap. This plant uses rhizoids to attach itself to rocks and other surfaces. Unlike roots, these rhizoids have the sole function of attaching the plant to an object. They do not act like roots do in terms of providing the plant with nutrients, and instead the plant relies on its stems and leaves to absorb and retain nutrients. The rhizoids look like tangled green stems with tiny leaves, and it uses these to anchor itself to rocks. Java moss can adequately soften harsher features in the aquarium, covering your filter, the wall, or the floor to make it appear softer and more natural. It has the ability to make your tank look like a mountain stream, while at the same time performing other crucial functions. 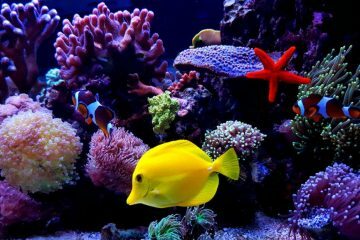 It is popular in aquascaping, which is the art of arranging driftwood, plants, stones, and rocks in an artful way – somewhat like underwater gardening, in fact. Java moss is also common in breeder tanks, as it provides a place for the eggs to attach to as well as for fry to hide from larger fish. This plant also serves as an important food source for young fry. It serves as habitat for shrimp and infusorians, which are common foods for fry and for fish, as well as popular species in the aquarium of their own accord. Java moss, as already mentioned, is one of the hardiest aquarium plants you can purchase. Therefore, it will grow in most water types and can thrive under most conditions. Ideally, however, you should provide your plant with steady water current, acidic and soft water, and temperatures ranging between 32 and 75 degrees Fahrenheit. Although this is a huge range, keep in mind that Java moss can even survive in temperatures as warm as the mid-eighties. However, remember that the warmer the water is, the slower your plant will grow. Java moss grows more quickly in cooler temperatures, and will also look a bit healthier. All plants need some amount of light in order to grow and photosynthesize. Java moss is unique in that it doesn’t need a ton of light, unlike other aquarium plants. 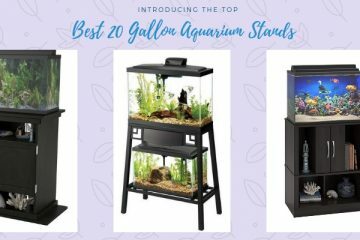 This makes it ideal for an aquarium that is low-tech and does not have a ton of fancy lighting systems. Java moss can grow in conditions of both low and high light, although you’ll notice a difference in the plant’s growth patterns depending on the lighting conditions. For example, low light produces a plant that is dark and leggy, while high lighting creates a more densely compacted plant. The more light you have, you will also have more algae, which can affect the appearance of your plant. You also need good water flow in your aquarium in order for your Java moss to thrive. Current allows fresh water to reach all parts of the moss. If you don’t have a good flow, the inner portions of your moss may turn brown and begin to die off. This is especially true if the moss is dense. While your aquarium doesn’t have to look like a babbling brook or a raging river, some flow from your filter is necessary to keep the moss healthy and happy. If you notice that your plant is not growing quickly and that you are meeting both the lighting and temperature requirements, you can always add CO2 or fertilization. 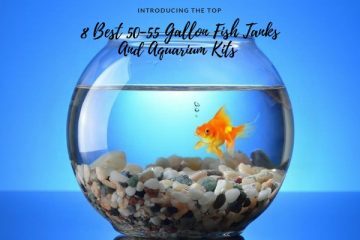 However, the plant does not need them, and will grow without them – plus, these can impact your fish, so keep that in mind if you are planning on adding anything to your tank. When grown without the addition of any external factors, Java moss is compatible with almost every kind of fish. 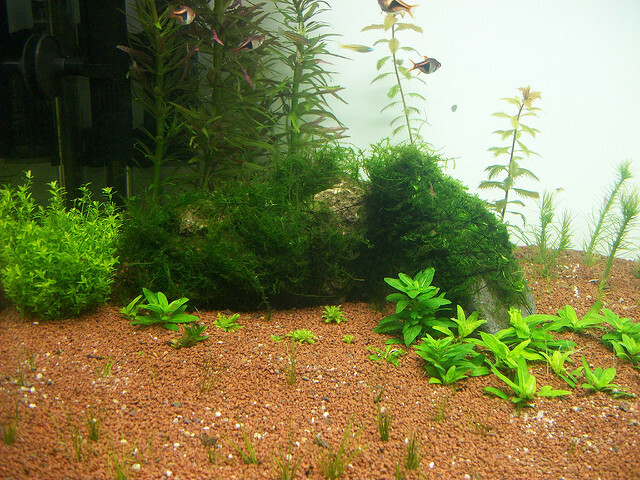 Java moss does not have to be trimmed and can be grown wild, but if you find that it is growing out of hand and consuming too much of your tank, you can, of course, trim your plant. All you need to do is use a pair of scissors to clip back unruly areas of the plant. Too much trimming can stunt the growth of your plant, so it may be better advised to leave the plant and not attempt to move it at all. You can trim back small pieces, but moving your Java moss too often can cause serious damage to the plant. While your Java moss will likely require at least one or two trimmings in its life span to keep it growing healthy, you don’t need to do this regularly unless you prefer a trimmed appearance for aesthetics. Trimming a couple of times can provide some benefit to the plant, however, in that it can compensate for areas of your tank that have poor water flow. Unless you have a tank with perfect water flow, the middle portions of your Java moss can eventually become deprived of fresh water. As a result, they will begin to suffocate. Any portions of your Java moss that aren’t receiving fresh water will ultimately turn brown and ide, causing your moss to decay from the inside out unless you provide regular trimmings. This can cause potential problems in the long-term if your moss was attached to a piece of surface like driftwood. If the portions of the moss that are attached to the surface become detached, the plant can come loose entirely. To rectify this, all you need to do is thin the moss periodically so that enough water current can reach all part so of it. You can keep the moss shaped the way it’s supposed to be so that the parts you remove are viable and can regrow. You don’t have to throw the pieces you trim away – if they are still healthy, you can reattach them in your aquarium, another aquarium, or give them to another aquarist. Java moss is an easy to maintain plant, but it can sometimes cause minor problems in your tank. 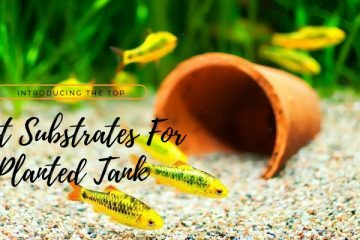 The biggest problem is its tendency to sprawl over everything you have in your tank – which is typically a desired feature but can cause issues if you don’t thin it regularly. It can clog your filter and take over your entire tank if provided with the right conditions. If the moss grows too thick and dense, the water may not be able to reach portions of your tank. This can cause the plant to then turn brown and dislodge from whatever it has attached itself to. Likewise, algae growth can pose a major threat to the health of your java moss. Algae grow quite quickly when provided with excessive light and poor water quality. 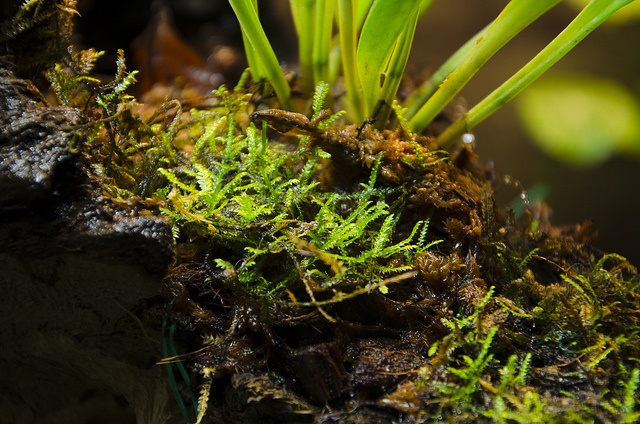 If algae grows in the moss, it can be challenging to remove (even by algae eaters) and you will likely have to remove your Java moss and start all over again. That being said, if you catch algal growth early on, you can use a soft brush (like a toothbrush or a small comb) to gently scrape the surface of the plant and remove the algae. Make sure you don’t pull up the moss, as this can cause it to die. 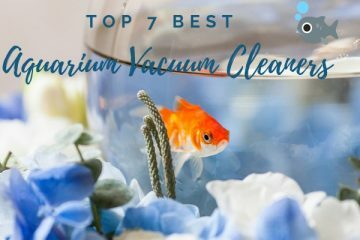 There are also chemicals you can use to get rid of algae, but you need to make sure these are compatible with the fish you have in your tank. These chemicals fix the algae problem in the short term, but in the long term, you will need to come up with another solution to prevent and thereby eliminate your algae problem. Since algal growths are usually brought on by factors related to poor water quality, plant nutrients, carbon, and light, you need to make sure everything is kept in balance. While small amounts of algae are fine and even healthy for a tank, too much algae can spell disaster for your plants and for your fish. Another common issue you may notice with your Java moss is that it is dying off entirely. If it starts to turn brown and die off without apparent reason, keep in mind that there may be an underlying problem at play. Java moss can turn brown if it does not receive access to consistent amounts of fresh water. If you notice the moss dying from the inside out, this is probably the case. A bit more aggressive pruning is all you need to prevent the problem from recurring. You will also need to adjust your water flow so that it isn’t quite as weak. If you notice that your Java moss is dying all over – and not just from the inside out – there is likely another problem going on. Examine the water quality and values in your tank. If your nutrients are out of whack, it can cause nutrient depletion in your plant that can eventually kill it. You can remedy this by setting up a nutrient dosing schedule. Java moss is a popular aquarium plant, and this is because it has a function beyond being simply decorative – it also serves some important purposes. 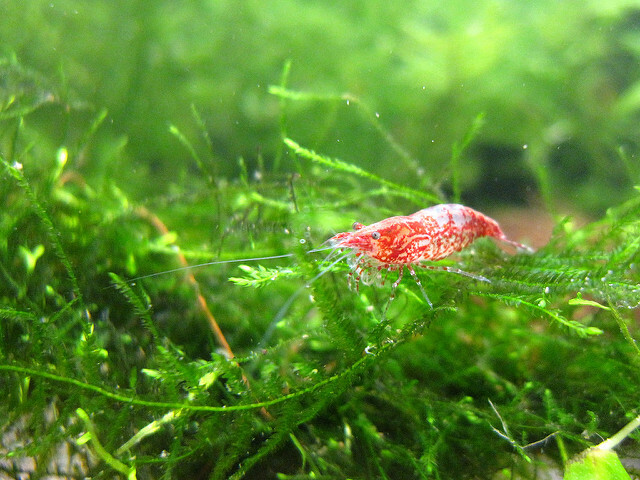 For starters, Java moss is a great hiding place for small fry and dwarf shrimp. They will use it as both a source of forage as well as a nursery chamber. It has everything these creatures need, from food to cover. They will eat the small layer of biofilm that grows in the fine-leafed strands of the plant. 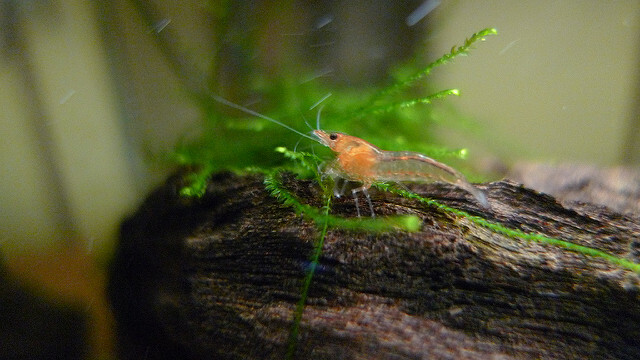 As a result, if you grow Java moss in your tank, you will likely frequently notice the little shrimp hiding among the leaves of the plant quite often. Java moss also can improve the water quality of your tank. It absorbs fish-harming compounds like nitrate and phosphate in great quantities, and while you will still need to conduct water changes on a regular basis to maintain good water quality, Java moss can do a small amount of the work for you. Since Java moss is an incredibly popular aquarium plant, you will likely not experience any difficulties in finding it at your local aquarium store. Most stores carry Java moss, although the quality and quantity course vary depending on where your store has to import from as well as how often the plants sell. Sometimes, your best bet in Java moss may be doing so online. This way, you can ensure you are receiving lush, healthy moss. You can order directly from the nursery when you purchase Java moss, and while you may be concerned about shipping the fragile plant, don’t be – a few days in a dark box won’t hurt the plant at all. There are several ways in which you can incorporate Java moss in your aquarium. If you are a low-maintenance, hands-of kind of aquatic gardener, the easiest way to cultivate Java moss is to simply leave it as a floating plant. All you need to do is place the plant into your aquarium and leave it there to fend for itself. However, it might be better advised to attach the plant to something. You can propagate java moss by cutting off a small piece from another plant. When you leave it to its own devices after cutting it, it will continue to grow, attach, and form more Java moss. 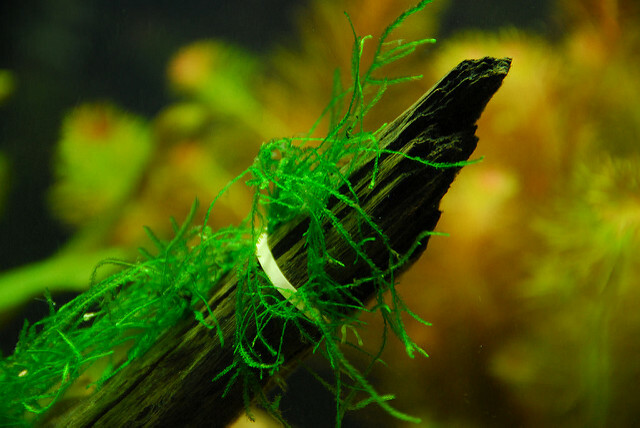 If you are trying to attach Java moss, know that it is not difficult to do. All you need to do is lay it in a thin layer over the piece of driftwood, rock, or other structure that you want to attach it to, and then secure it with a piece of fishing line or even dark-colored thread. The moss will naturally attach itself after a few weeks to a month, and you can then remove the thread or leave it in place. You can also grow Java moss as a carpet, wall, or blanket. This will give your tank a pleasant, natural appearance, and it’s also easy to maintain. To do this, all you need is a couple of pieces of mesh and some fishing line. Lay the first piece of mesh on a flat surface, and cover it with moss. You can arrange and rearrange it as you would like – you don’t need to keep it whole and can do whatever you need to do to get it to lay flat. Once everything is covered, place the second piece of mesh and top and use the thread to secure the pieces together. You can then place the sandwiched pieces of moss into the tank. Although it might look odd at first, the plant will slowly begin to grow through the mesh and will provide you with a stunning display of moss which can then be trained to grow up the walls of your tank as well. If you are planting this moss in a tank with a heavy current, you can weigh it down with some gravel or other decorations to help it stay put, too. The third way to grow Java moss is as a tree. All you need to do is purchase or repurpose a piece of driftwood that stands vertically in the tank. The best piece of wood for this purpose will be one that has a tree-like appearance, with just a few branches that extend outwards. If you don’t have or can’t find a piece of driftwood like this, you can also tie a few pieces of wood together, which will then form a tree shape. If you are using glue or fishing line to attach these pieces of wood, make sure they are non-toxic and designed for aquarium use. Be careful prying apart your Java moss, and if you’re using moss that has already been in your tank, make sure you don’t allow it to dry out entirely while you are working on reattaching it. This can cause long-term damage to the plant. Using tiny amounts of glue, connect the moss to the branches. You only need to add a little bit here and there, and you can trim off any excess moss or hanging portions to create a tree-like appearance. Place the tree in your tank, and you are good to go. Java moss can grow well in almost any kind of aquarium and provides multiple uses to a tank. It can improve the aesthetics and natural appearance of your tank, and also provide shelter and food for fry and fish. Easy to care for, Java moss is an ideal aquarium plant for beginning and expert aquarium hobbyists alike. While you may face occasional problems like algal growth, these are generally easy to care for. Since Java moss requires little investment and work to grow, and provides little risk, you should consider growing it in your aquarium as soon as possible.